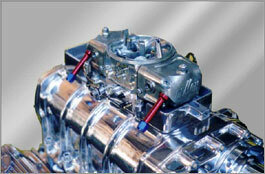 If you already have an existing SC500 for a Holley Carb there are three modifications that you will need to attend to. 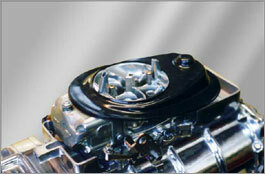 If you are ordering a scoop new then specify a demon Carburetor when ordering. 1 The notches in the SC500 base plate for the fuel lines will have to go lower and slightly wider than for Holley Carburetors. The Demons are slightly different here, see pictures below. 2 You will have to massage the underside of the plastic adapter. This is necessary because the float bowl on the Demons are level with the neck and the Holleys step down about 3/16", be careful you dont grind through the plastic adapter when doing this (if you did you could re-seal it with some silicon). Use a rotary file on a die grinder, see pictures below. 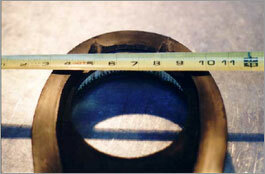 3 The rear bowl vent tube needs to be cut down from 1 1/2" to 1 1/4" overall height. The front vent is ok, of course all SC500 applications need the choke removed.